Enginetech has been delivering the goods to professional engine rebuilders since 1982. We offer a complete line of products for virtually all of the engines you see coming into your shop today, including a full range of products for Japanese engines. Whether you buy our complete engine kits or open stock by product line, our products will suit your needs. 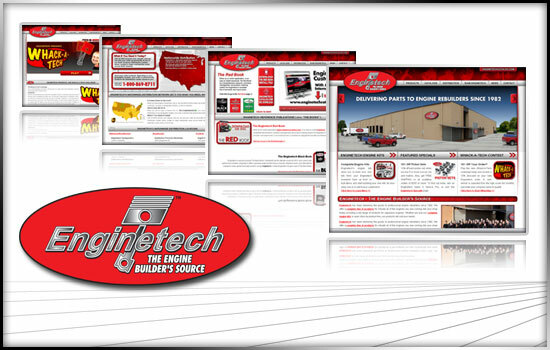 Enginetech has been delivering the goods to professional engine rebuilders since 1982. We offer a complete line of products for virtually all of the engines you see coming into your shop today, including a full range of products for Japanese engines. Fire Seal Technology Gaskets, Pistons, Piston Rings, Rod & Main Bearings, Camshaft Bearings, Timing Sets, Camshafts, Oil Pumps, Cylinder Sleeves, Rebuilder’s Valves, Rebuilder’s Valve Stem Seals, Standard Valves, Camshaft Break-In Additive, Rebuilder’s Thread Repair Kits, Cylinder Heads, Engine Kits, & more.